Last year, US Open champ Naomi Osaka signed a deal to appear in Nissin Cup Noodle commercials. 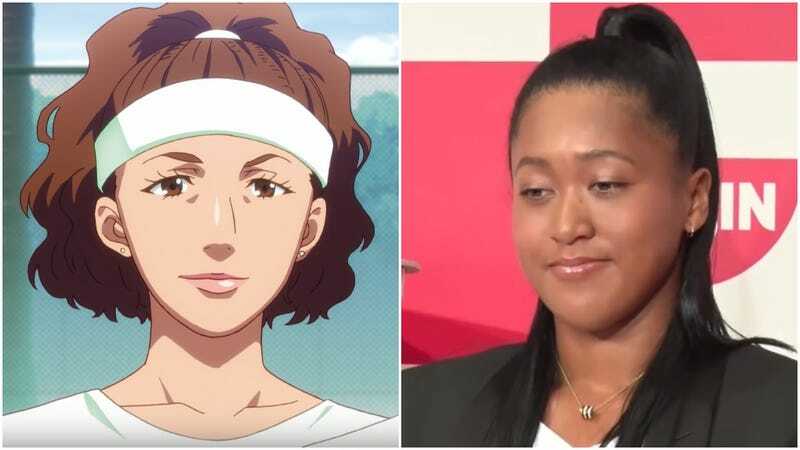 The latest one, an anime version, has been criticized for whitewashing the biracial tennis star. Prince of Tennis manga artist Takeshi Konomi drew the ad, which also features fellow Japanese tennis player Kei Nishikori. All the characters are done in a Prince of Tennis anime style, but Osaka’s representation raised eyebrows. In a Japan Times article, writer Baye McNeil wrote how he was “truly disappointed to see that there was no woman of color to speak of in the commercial” after looking forward to the spot. In Japan, it’s uncommon to see women of color in major ad campaigns, but the result was just a typical anime character. “Well, when you sponsor a top tennis pro, and one of the most popular athletes of color in the world, you’ve got to expect the world, particularly the people of color in the world, to take notice of how you utilize her,” McNeil added. On Twitter, folks expressed their displeasure at Osaka’s anime rendition. This meme-type image has also been circulating online.